High quality Indian Karma incense in the Nag Champa style. 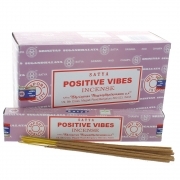 High quality Indian Positive Vibes incense in the Nag Champa style. 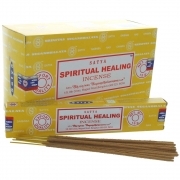 High quality Indian Spiritual Healing incense in the Nag Champa style. 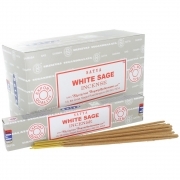 High quality Indian White Sage incense in the Nag Champa style. 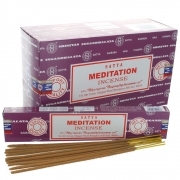 High quality Indian Meditation incense in the Nag Champa style. 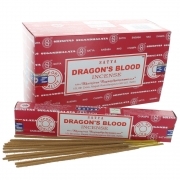 High quality Indian Dragon's Blood incense in the Nag Champa style. 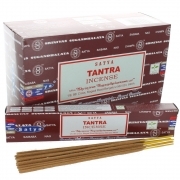 A high quality Indian Tantra incense from Satya, the house of Nag Champa. Box of 12 packs. 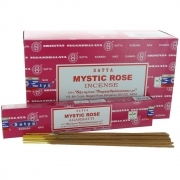 A high quality Indian Mystic Rose incense from Satya, the house of Nag Champa. Box of 12 packs. 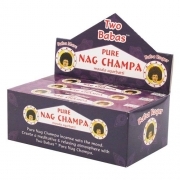 High quality fun private label Two Babas Nag Champa from Wild Berry. A high quality Indian Aura Cleansing incense from Satya, the house of Nag Champa. Box of 12 packs.